Looking for the best way to explore Vancouver during a cruise? 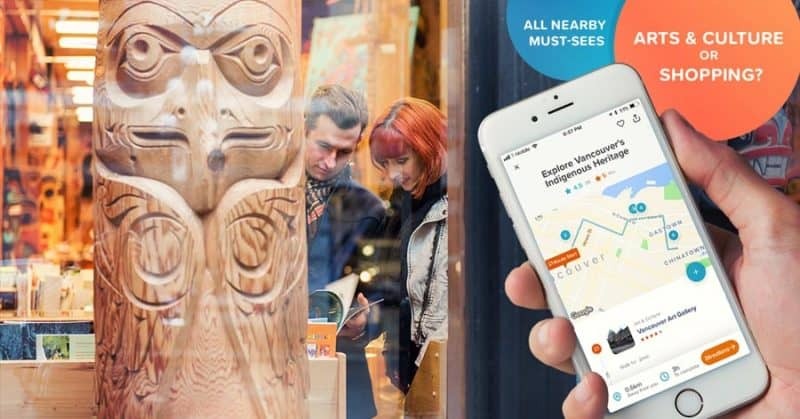 Try the Roam Vancouver App, and an insider’s take on how to have the best experience. Your cruise ship is arriving in Vancouver, and you’re starting to find that planning things to do in is challenging – you don’t want to just hit up the tourist spots, you’re more adventurous than paying for a guided tour, but limited time and information makes this difficult. The pressure is on to find the right Vancouver walking tour and experience the city’s hidden gems. Let’s be honest – what you really want is an insider scoop. Local recommendations take any trip to the next level, allowing out-of-towners to experience the lesser-known spots which really showcase the best a city has to offer. Of course, you’re typically not cruising on your own, and if you’re reading this article, you’re likely the responsible planner for your group. You want your friends or family to experience the best things to do in Vancouver—to feel that they are getting to know a local’s Vancouver. That’s what makes a shore excursion great, after all. Don’t worry—we’ve got you covered. Rather than sending you off on a mainstream walking tour, a quick download of the Roam app will get you off the beaten path on a truly personalized day (or night) out. You’ll get to impress with the depth of your local knowledge, bringing everyone on an adventure while you live your daily life. It’s an excellent way to take the stress out of hosting. Check out suggestions for Vancouver walking tours or build your own to ensure that it caters to the group’s interests. 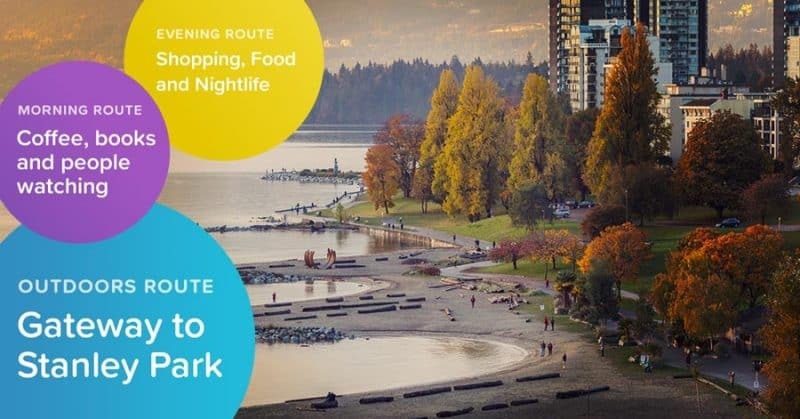 It’s difficult to plan for large groups, but Roam has got you covered, making it a cinch to discover the best things to do in Vancouver in every category. Let’s say your group are big cinephiles. Put together a Vancouver walking tour of the filming locations from hot movies and TV shows—as well as a sweet new lunch spot to keep everyone fuelled up. For example, one of the most popular routes on the app guides you around the filming locations of Netflix’s sci-fi noir hit, Altered Carbon. 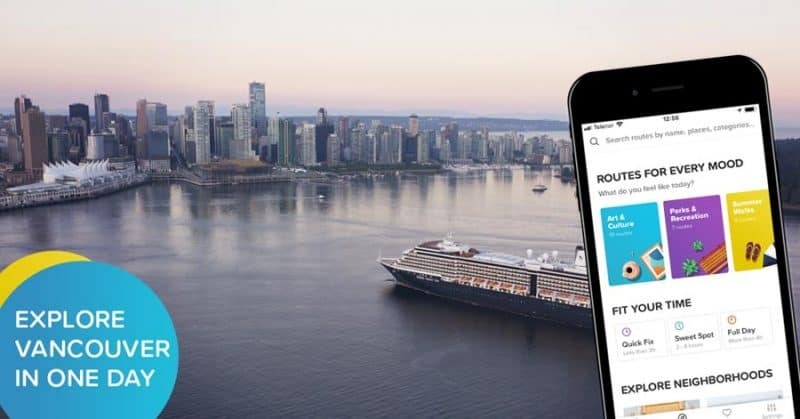 Other popular routes on the Roam app include Granville Island, Stanley Park and Yaletown, designed to make the most of every visit. Local recommendations ensure you’ll take in the must-sees while skipping anything overhyped. Other routes serve as guides to Vancouver’s exciting events, such as the Vancouver Mural Festival. 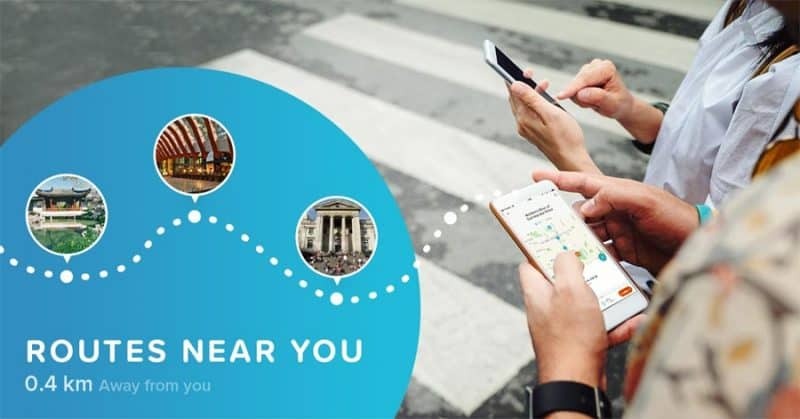 As well as checking out existing recommendations, it’s easy to create your own ideal route which takes in the best eateries, stores, cultural sites, museums and more. Rather than fighting with a paper map or trying to plan on the fly and ending up at lacklustre attractions, you can have it all ready for your group—meaning more time to soak up Vancouver’s best museums, historical sites, breweries, restaurants, etc. As you discover more of the best things to do in Vancouver, simply curate them via the Roam app. It’s easy to share your favourite routes with other friends, family or cruisers, making you the go-to source for travel recommendations. The combination of local recommendations with a high level of personalization (taking into account interests, time of day, weather and more) makes this a real winner. Create walking tours of Vancouver which cover your every need for the day, with stops to sightsee, eat, drink and shop all planned out. 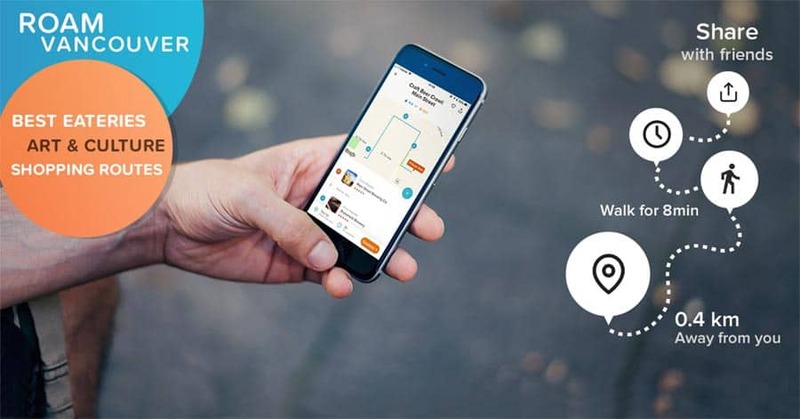 Sure with Google Maps on your phone, you can always find the quickest way to get somewhere, but with Roam, you can find the most interesting way. Now, what can we help you discover? Click here to download the Roam app and get started.